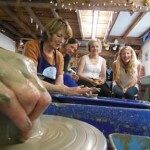 Escape to the country and spend a relaxing day or weekend learning how to make pottery on the potter’s wheel. Create and relax in rural tranquility. 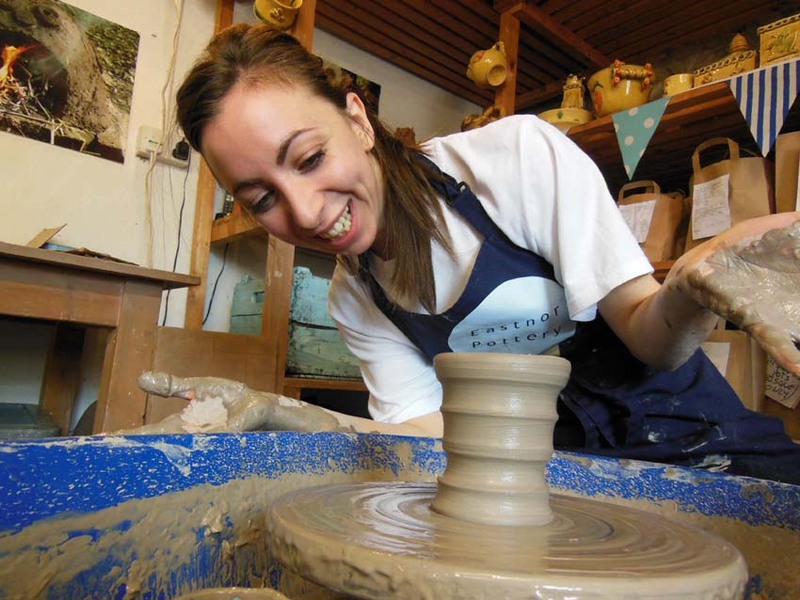 The Pottery is situated on the Eastnor Castle country estate, close to the Malvern Hills and amidst the idyllic Herefordshire countryside. 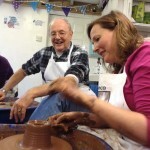 The perfect environment to unwind, learn a new skill and discover hidden talents. Perfect stress relieving activity. 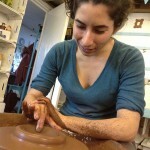 The therapeutic benefits of working with soft clay on the potter’s wheel are considerable. Participants often leave the studio on Sunday afternoon feeling totally de-stressed and with an overwhelming sense of well-being. 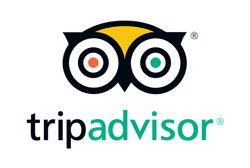 “I feel like I’ve spent a weekend at a health farm!” commented a recent punter. Everybody can do it. 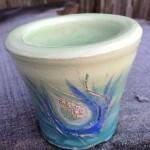 there are no mistakes in pottery, just happy accidents and learning experiences! The positive and inclusive nature of the instruction means everybody achieves amazing results. Small friendly class sizes. 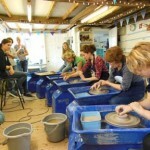 We currently have eight electric potters wheels so purposely limit the group size to eight participants. 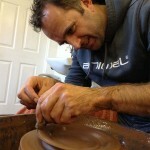 This ensures plenty of individual attention and guidance from our team of potters. 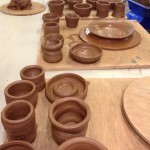 Explore a wide range of making techniques focused on the potters wheel. 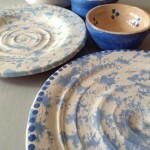 These include throwing, turning, attaching handles & motifs and decorating using under-glaze and coloured slip. 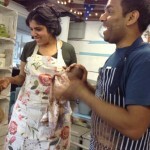 If you are participating in the weekend workshop, the results of your labour from day one will be left to dry overnight. 10am. 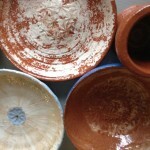 Your pots from Saturday are now ‘leather-hard’ and ready to be turned. 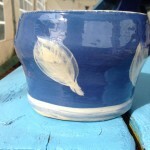 After further demonstrations you will learn how to throw foot-rings, add handles and other motifs. 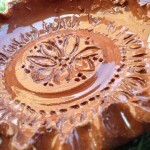 After lunch and once you have experimented with the techniques, you will select your favourite one or two pots, depending on size, and colour them using under-glazes and decorating slips. Extra pots can be fired at cost approx. £6 per item payable on the day. The weekend concludes at 4pm. 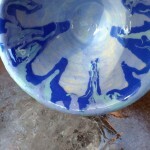 Your fabulous creations will be left with us to dry thoroughly before they go into the kiln. 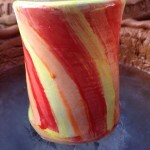 Once they have been fired and glazed, we‟ll carefully wrap and dispatch your finished pots to your home address. You will be delighted at the professional results when they arrive on your doorstep approximately one month later. Cost: £150 a day & £280 weekend. Sat 13 Apr – Fully booked! Sat 6 Jul – Fully booked! 6 & 7 Apr – Fully booked! 4 & 5 May – Fully booked! 9 & 10 Nov – Fully booked! 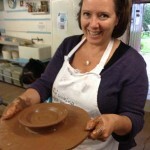 Simply contact the Pottery to check availability and make a provisional booking. We are open 10am – 4pm Tuesday – Saturday.